Megalodon is quite possibly the most dangerous predator to ever live in the Earth’s waters in the recent geological history – roaming the seas between 28 to 1-3 million years ago. We’re still not sure why it went extinct, but a recent study suggests that its extinction paved the way for whales to grow more and more, reaching the enormous sizes we see today. The blue whale is the largest creature ever on Earth. At 30 metres (98 ft) in length and 170 tonnes, it is also the heaviest. But it’s not the only huge whale around – the finback can measure over 24 meters (80 feet), while the sperm whale and the right whale can both reach 18 meters (60 feet). 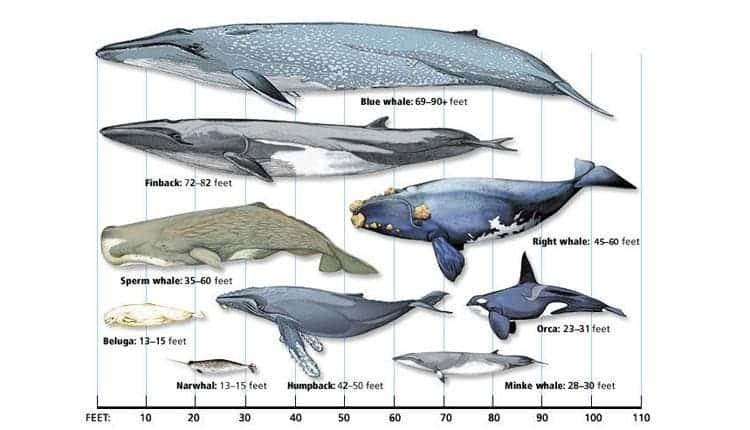 But why are whales so big, especially in a geological period where life forms tend to be smaller than what was going around in the Jurassic, for example? Paleontologists believe this has a lot to do with the Megalodon. The Megalodon was the largest shark to have ever lived, reaching a maximum length of 18 meters (60 feet), and having 18 cm long teeth (7 inches)! It was one of the most powerful and robust predators in vertebrate history, shaping basically entire ecosystems around it. Megalodon had enough adaptability to inhabit a wide range of marine environments (i.e. coastal shallow waters, coastal upwelling, swampy coastal lagoons, sandy littorals and offshore deep water environments), and exhibited a transient lifestyle. Throughout its existence as a species, it faced an incredibly competitive environment, but it was no doubt on top of the food chain for over 20 million years. Juvenile Megalodon preferred habitats where small cetaceans were abundant, and adult Megalodon preferred habitats where large cetaceans were abundant – in other words, the Megalodon’s preferred food was whale. 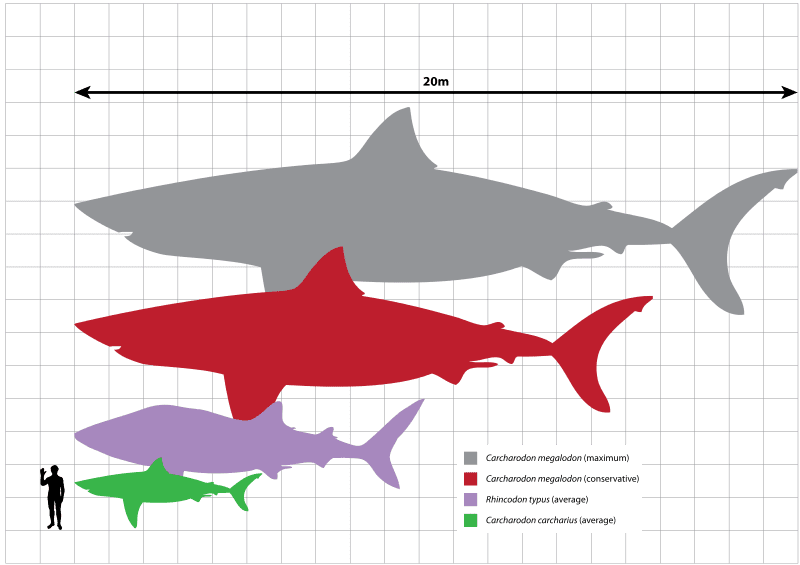 Megalodon relative size. Image via Wiki Commons. In a new study published in the journal PLOS One on Oct. 22, researchers looked at the records of 42 of the most recent fossils of the ancient shark and employed a technique known as Optimal Linear Estimation (OLE) to determine when this animal went extinct. What they found was that Megalodon was contemporary to some of today’s whales; they also found that as Megalodon went extinct, whales started to grow more and more, reaching the dimensions we see today. This makes a lot of sense. A 18 meter long Megalodon could easily eat a bigger whale, even one much larger than it. The size of the whale would have actually made it a more desirable prey, so whales had no reason to grow more and more. The thing is, we still don’t know why the shark went extinct (and this goes for several other top predators), and this research might help us paint a picture of what happened.